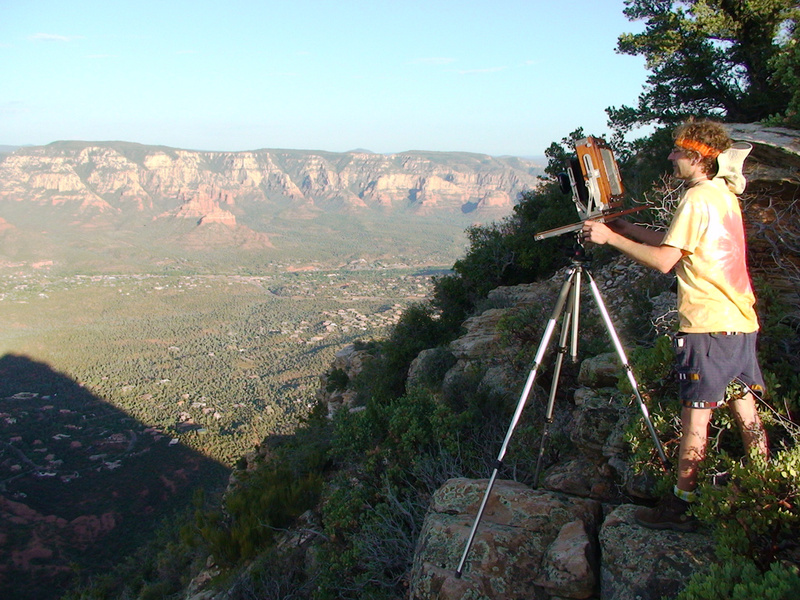 Me with my 8x10 camera photographing the sunset on east Sedona from the top of Thunder Mountain. 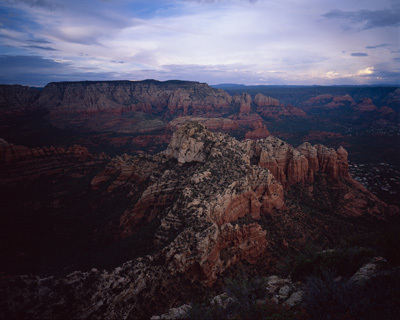 Photo courtesy of, and copyright 2008, Ian Whitehead. 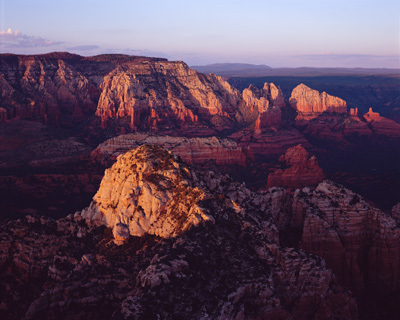 I hiked up Thunder Mountain twice to photograph the sunset with my friend Ian Whitehead. The view from on top is spectacular, as was the journey up. Unless otherwise noted, this Website, Web Pages, and all of its contents are Trademark and Copyright 2008-2015 Daniel E. Maddux. All rights reserved.